Here comes the guide on How to program Buick Excelle Remote without tool.After you write new key to the immobilizer,then you need to program for remote function.Hope this article can solve problem you suffer. 1. Close all door of vehicle,then turn ignition key to on position but do not start engine,and then turn to off position and pull out the key. 2.Open the door (driver side) and then close door (four times),when you try fourth time keep the door to open position. 3.Turn ignition key to “ON” position then turn to “OFF” for three time,and pull out ignition key at third time.Then you will find the turn lights light on. 4.Press the “Lock” and “unlock” button at same time,then the turn lights will light on again.It means that the remote programming successfully. If you need to program other remote controllers,just need to repeat the step 4. Note:You need to pay attention to the operation of each step,complete them rapidly. 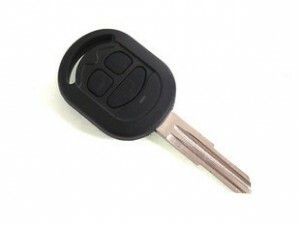 How to Repair Buick GL8 Remote key Fob unstuck can’t work?